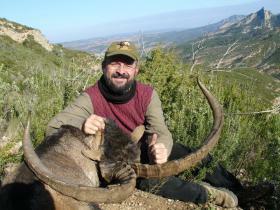 Hunting program | IBEX HUNT, S.L.U. See our videos and download our brochure for more information. Season: From 1 October to 30 April. Two days of hunting, this can be extended in blocks of two, workdays or public holidays. Unlimited number of shots, as long as there is no blood. If there is blood the hunt is finished and the game is tracked. The hunter will have to pay 100% of the kill fee, at all times. After the animal has been brought down it is measured in the field, using the ICONA system, by the authorities´ warden. The resulting score may not be appealed. Method of payment: 30% of the permit on booking. The remaining 70% will be paid one month before the date agreed upon for the hunt.